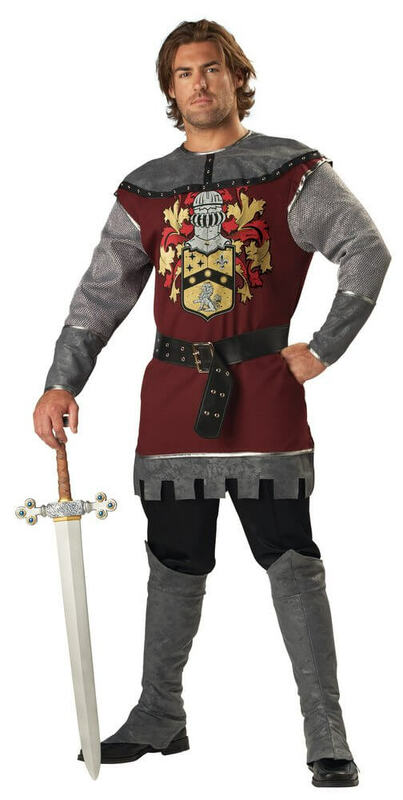 This dashing men's knight costume includes tunic with attached sleeves, belt, and boot covers. 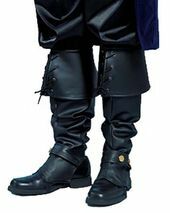 (Toy sword and pants not included.) By InCharacter. Pair with our Maid Marian Costume for a great couple costume! 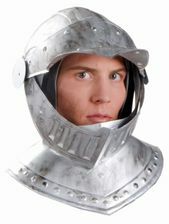 See more options in our Medieval Costumes section!